Are our children’s parties out of control? I like to throw my kids’ birthday parties. 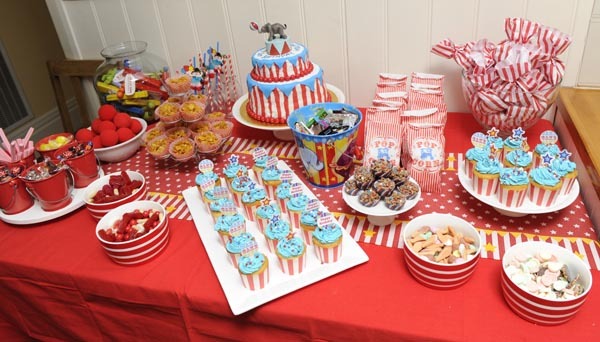 Big, lavish, over-the-top parties where the cupcakes are picture perfect and everything – from the invites right down to the smallest treat in the party bag – matches a particular theme. Sure, my kids really would be happy with the dodgiest supermarket cake and a box of Cheezels but I can’t bring myself to deliver anything less than the perfect party. I spend months planning each soiree, much to my husband’s amusement and sometimes, I suspect, to his horror. 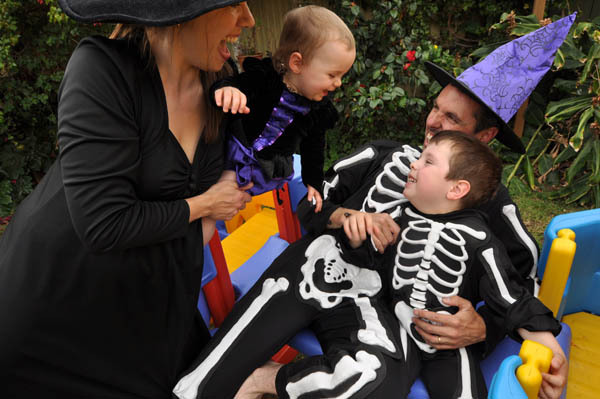 Like the time I made him wear this skeleton costume for our son’s spooky fourth birthday party! It’s the pure joy that’s etched on the kids’ faces and in their eyes when they walk into their own little piece of party heaven that make every minute, every detail – and, dare I say, every dollar – worth it. And party poopers be damned, those eyes wouldn’t sparkle nearly so bright if I’d skipped all the frippery and skimped for the supermarket cake! 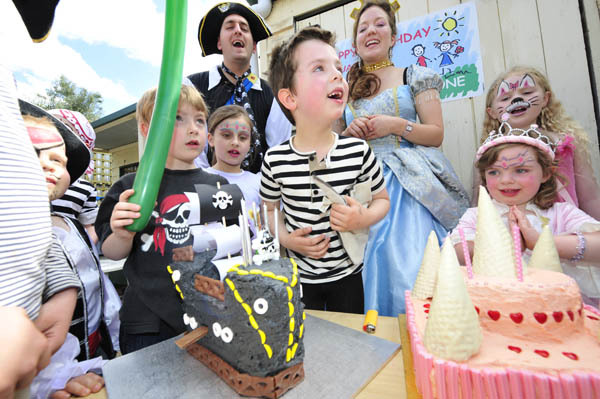 My two older kids (pictured above in pirate stripes and a princess crown with their birthday cakes at their party last month) have inherited my party gene. The most well-thumbed book in our house isn’t The Hungry Caterpillar – it’s the Australian Women’s Weekly birthday cake book. Closely followed by any other book with “party” in the title. Last month my six-year-old was invited to a party for a prep classmate at school. “What kind of party is it?” he quizzed the mum as she handed out the nondescript invites to the swarming kids. “It’s just a party,” she replied. “Oh, don’t you know parties are supposed to have a theme,” he shot back. 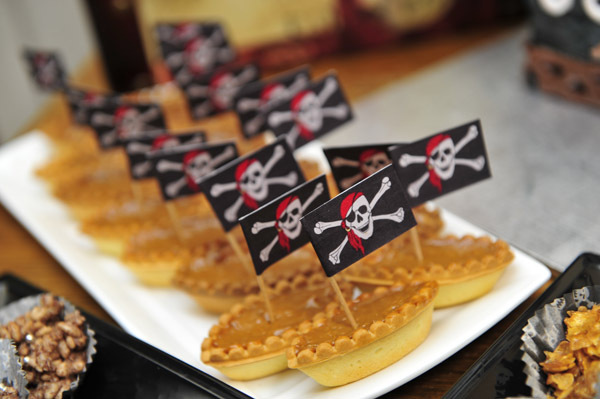 Granted, the invite came a day after his unbelievably amazing pirate party (I’m not bragging, it really was unbelievably amazing!) but it had me thinking for a second that perhaps my parties have gone too far. It’s not just the spectacular decorations and goody bags that follow a theme for me – I obsess over matching the food too. So over the years we’ve had train-shaped mini pizzas for a Thomas party, spooky finger sandwiches, jack-o-lantern-shaped fairy bread and zombie cupcakes for a spooky party, caramel-filled pirate ships for a pirate party and butterfly fairy bread with butterfly cupcakes for a butterfly-themed party. We’ve had a racing car party at the local traffic school where every kid got a medal and a children’s farm party where I spent fifty dollars on postage to have farm-themed plates, cups and napkins shipped over from the States because I couldn’t find just the right ones here. Crazy, eh? Last month, I hand-placed the star-shaped cachous on fifty miniature chocolate crackles for my baby boy’s first birthday. You saw the photo at the top of this post! And that was after staying up to three in the morning to decorate his cake. Clearly, I’m nuts! But oh, how I love a good party! So, it seems, do retailers. 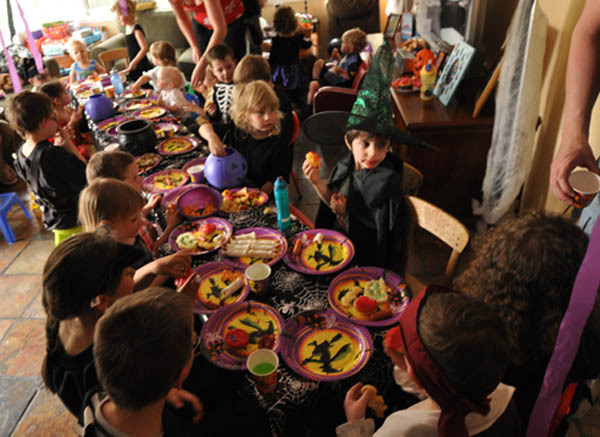 Kids’ parties are big business. 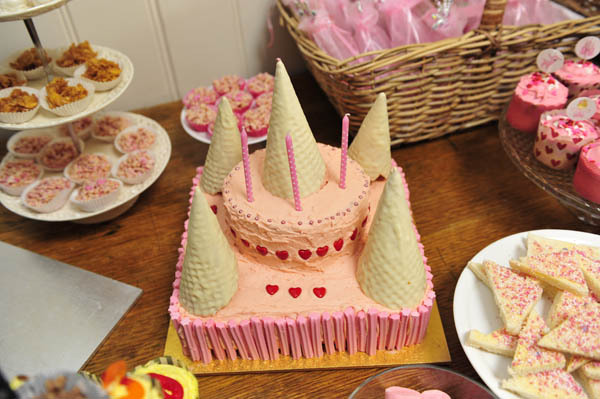 There are online party stores selling every kind of favour to suit any kind of theme. I know, I’ve bookmarked them! There are jumping castles and petting zoos and fairy floss machines for hire. 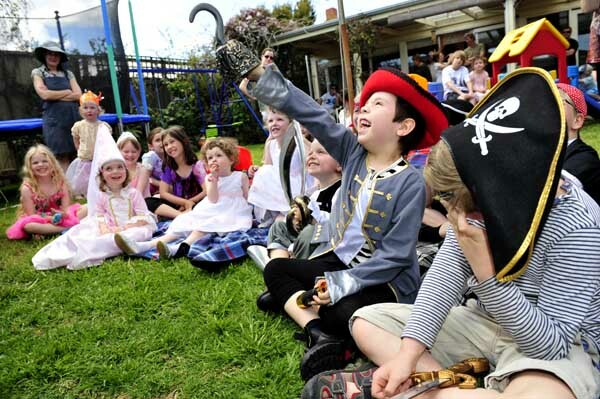 There are entertainers who’ll keep the kids amused (I dithered about the cost before hiring a pirate-princess double act for my son and daughter’s joint birthday last month and it was worth every single, expensive cent!). 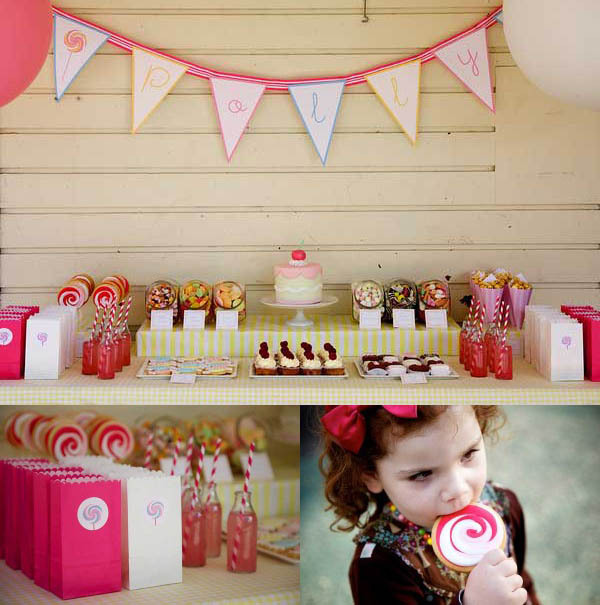 There’s party planners who, for several hundred dollars, will coordinate every last detail for that straight-out-of-a-magazine look like the amazing party scene below that our very own Babyology editor Mandi hosted recently for her youngest daughter, Polly. What do you think? 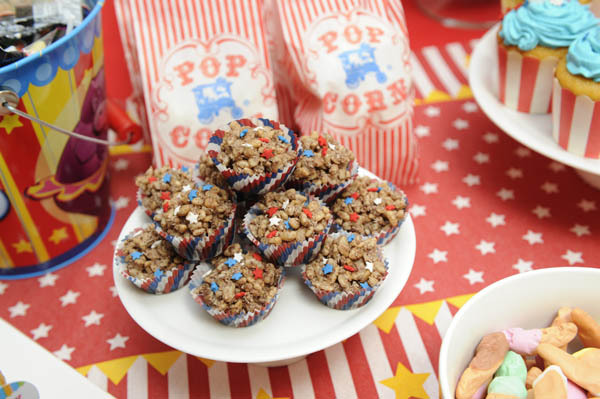 Have kid’s parties gone too far? 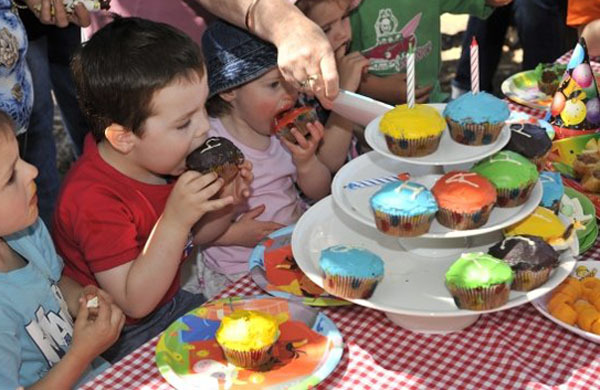 Is it wrong to spend hundreds of dollars on a birthday party for a child? 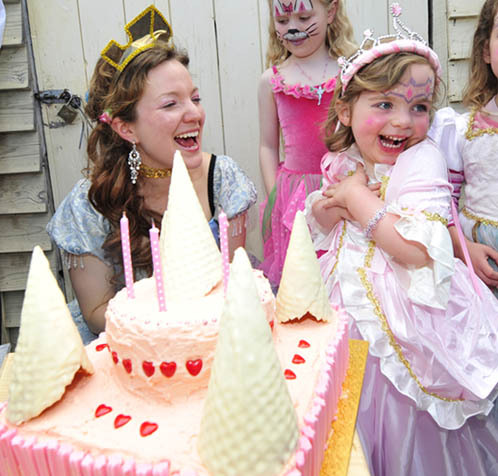 What lengths have you gone to in throwing a birthday party for your son or daughter? What would you never, ever do? Please let us know in the comments below.